Thanks to my newfound culinary passion, I have recently made quite a few foodie friends in the virtual world. We had a baking session at my place recently, which was a perfect opportunity to meet some of these wonderful girls. Foodie friends deserve a special meal. I wanted to try something new. 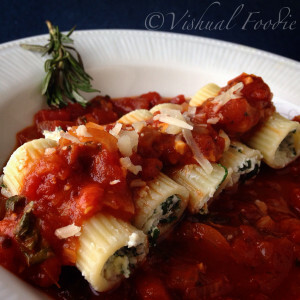 So made stuffed rigatoni with ricotta, parmesan and spinach and poured some Arabiatta sauce over it. 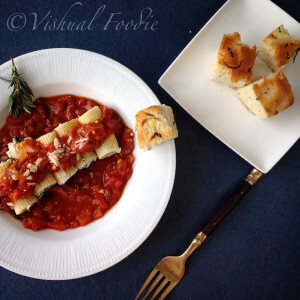 Something different from the regular pastas and OH SO delicious. Highly recommended. 1) Cook spinach in 1 tablespoon olive oil until wilted. Drain of all juices, and chop spinach. 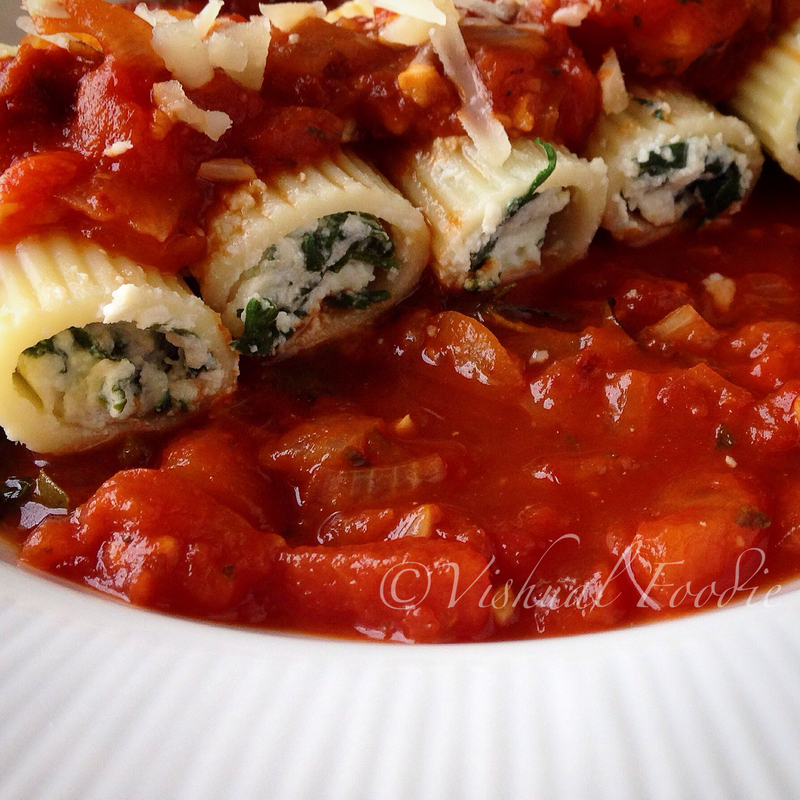 2) mix together ricotta cheese, Parmesan cheese and cooked spinach. Salt to taste. 3) at serving time, pour 3/4 of the sauce in the Center of the dish. Place the pasta on top in a row and pour the rest of the sauce on the pasta. Grate parmesan cheese on top.